Every individual deserves a good night’s sleep, especially after having a long day at work. But the hard truth is that most people neither get quality nor sufficient sleep. They forget that getting a deep sleep is the key to revitalizing their bodies so that they’re able to take on the daily grind. And, often, these individuals are literally sleeping on their problems by investing in substandard mattresses. So we won’t just give you any futon mattress, we’ll tell you about the best futon mattress ! Futon mattresses are quickly gaining popularity among American households, and for good reasons. These traditional Japanese mattresses are super comfortable, convenient and flexible. Futons are much firmer than the ordinary mattresses because they’re designed to be placed on the floor. They also offer convenience since they can easily be folded up to save on space. Given that they can double up as a bed or couch, futon mattresses are also pretty flexible. In the following discussion, we have recommended the best futon mattress from our research. Who can claim to have the ‘ Best Futon Mattress ‘ ? 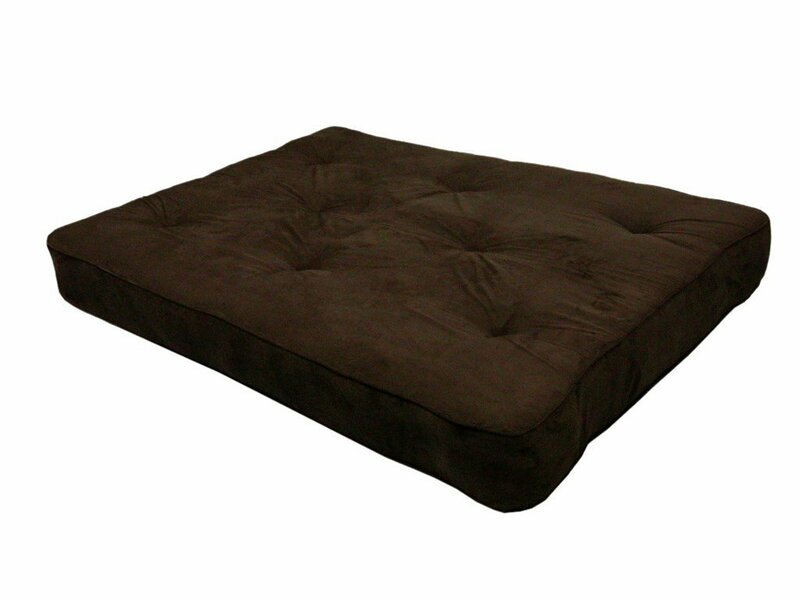 The DHP is a premium futon mattress that comes in three different colors, that is, chocolate, tan and black. 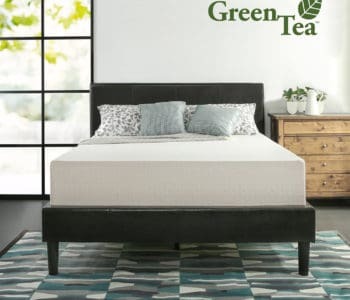 This eight-inch full-sized mattress features at least 522 individually-wrapped coils, enabling it to provide maximum comfort. We think this is the best futon mattress. Continue reading to find out why. The DHP futon mattress is compatible with virtually any sofa frame thanks to its superior, 15-gauge wrapped coils. You’re probably wondering, what all this jargon means. Put simply; gauge measures the thickness of the wire that’s used in making coils. High-end mattresses use a 15-Gauge while cheap ones use a 13-Gauge.Coil count is the sum of coils in the bedding. A standard futon mattress has between 250 and 1000 coils. But, if you prefer an innerspring mattress, go for the lowest number of coils. 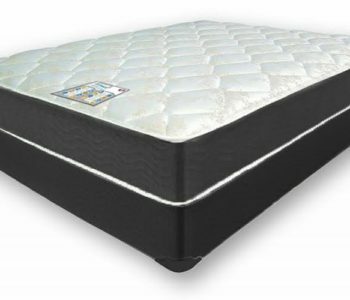 More specifically, choose 375 coils if it’s a queen futon mattress, 300 for a full-sized one and 450 for a king size mattress. Both the coil count and gauge indicate just how comfortable, efficient and durable the futon mattress is. DHP futon mattress measures 58.5 inches by 12 inches by 12 inches and it can be folded up to serve as a sofa. It can be also be laid flat to serve as a mattress. The DHP futon fits well on most bed frames. The DHP independently-encased futon mattress has a microfiber cover that feels very soft. However, if it is not comfortable enough, you can add a couple of sheets. This futon mattress by Life Home is another top-rated model on the market. Like DHP, it has a thickness of eight inches. Although it’s somewhat smaller than a queen-sized bed, it’s the ideal option if you’re looking for a full sized innerspring futon mattress.Most customers complimented the Home Life futon for its quality and comfort. In fact, one buyer said that this is one of the few mattresses that will never have lumps. 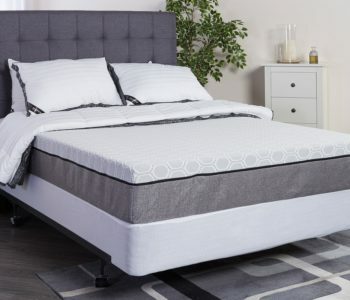 Another feature that makes this mattress a favorite for many is the microfiber cover, which has a soft texture. Also, the foam inside the mattress has minimal volatile organic compound- a factor that makes it suitable for indoor use. Another thing about the foam on this futon mattress is that it’s CertiPUR-US approved. Mattress foams that adhere to CertiPUR-US standards do not have any ozone depleters, formaldehyde, mercury, lead or other heavy metals. 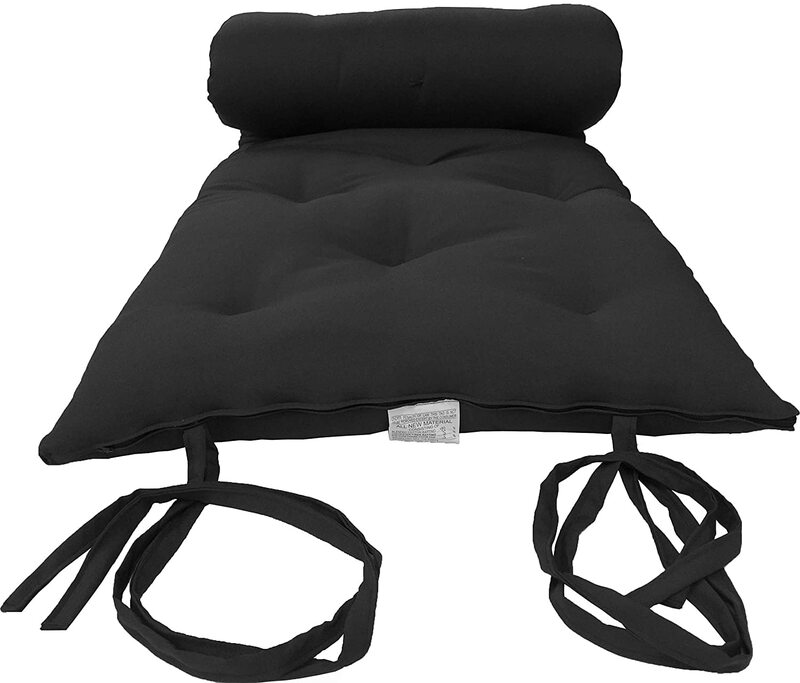 The exclusion of these products in its construction makes Home Life futon safe for your health. The build of the Serta Cypress is an exceptional one. It has state-of-the-art features, which are aimed at maximizing every user’s comfort. With the three-layered design and an incorporated innerspring core, the construction of the Serta Cypress offers unparalleled comfort. Many buyers have praised its construction on multiple times, attesting to how it has changed their sleeping experience.Like the majority of the futon mattresses on our review, the Cypress has a thickness of eight inches. 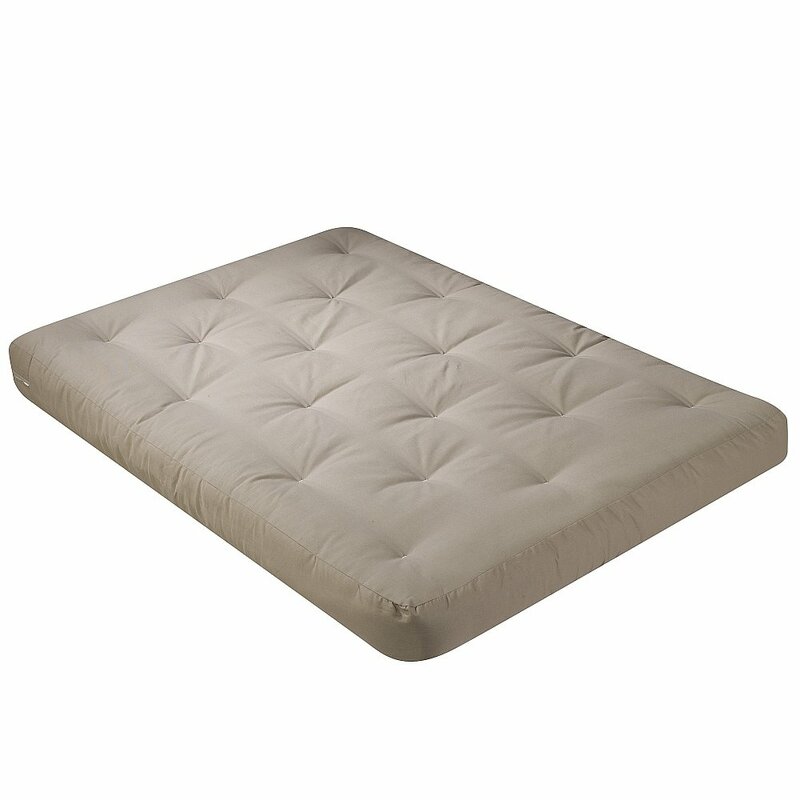 Serta alleges that this thickness is geared towards providing numerous years of comfort. What’s more, the top section has three layers of heavy-duty cotton and fiber blend that also improve comfort. When you lie on this Serta Cypress, your sleeping experience will change completely. The uppermost layer is soft and it will massage your body nicely, facilitating a good night sleep. The material used in constructing this futon mattress is also breathable. It means that the fabric promotes airflow; hence, allowing perspiration and enabling your body to cool itself. You probably think that the futon mattress originated from America, right? Well, you are wrong because this concept was acquired from the Japanese. Back then many Westerners were not pleased with how thin the futon was, so they upgraded it. But, if you want to enjoy the look and feel of the original futon mattress, the Emoor Japanese futon is the way to go. We thought we should include this in our post about the best futon mattress because it resembles what originally was intended for futons.It’s ultra-thin with a thickness of just three inches. 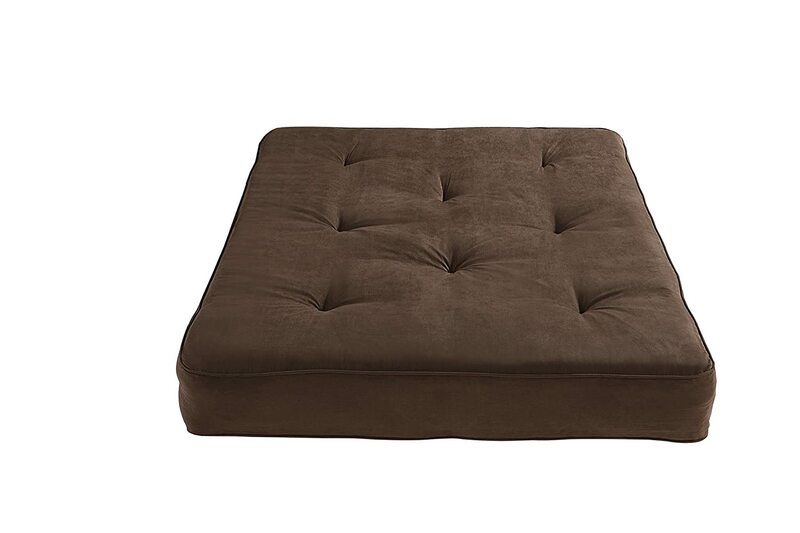 Emoor futon is the epitome of comfort. This is the futon mattress to purchase if you want value for your money. With regards to features, this futon mattress is filled with Teijin Mightytop (R) II Eco. Emoor alleges that this stuffing is deodorized, anti-ticked and anti-bacterial. The manufacturer also assures buyers that this filling lasts for a long time. The outer covering is made purely of cotton, which has a thread count of 200. If you live in a small space, you probably don’t have the luxury of buying a king size bed. Your best bet at getting deep sleep is to invest in the fairly-priced Emoor futon mattress, which you can easily fold up to save on space. If you’re looking for a futon mattress that is entirely different, the D&D is an excellent choice. Although you can use it with a futon frame, this particular mattress is better off being placed on the floor. The manufacturer made it in a queen size, and with a thickness of three inches. With such a thickness, if you place it on a metallic or wooden frame, you may end up feeling every bar.However, placing it on the floor will provide a very different experience. 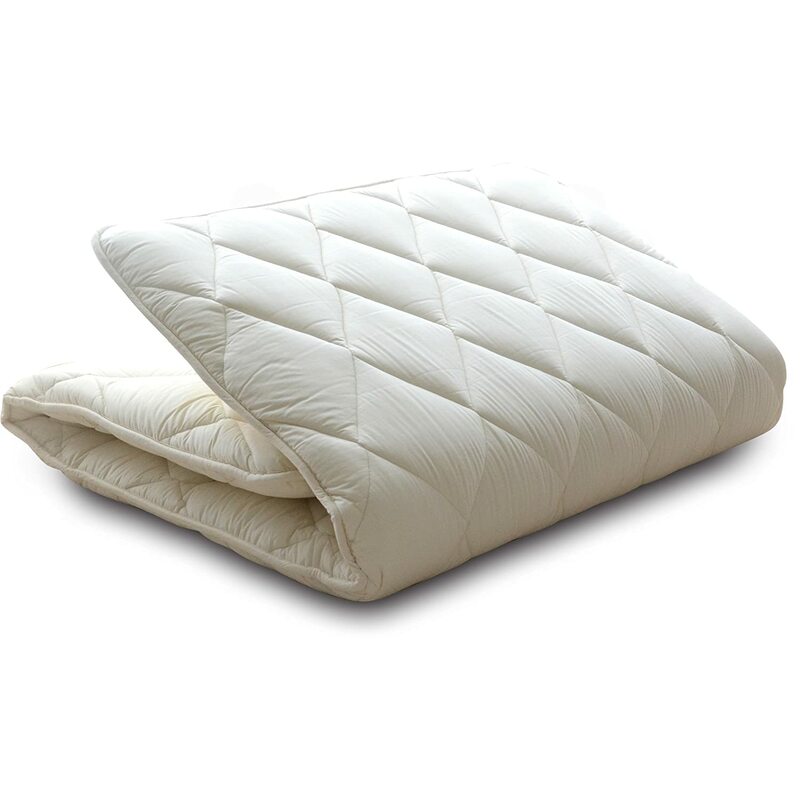 D&D futon is made of 90% white cotton and 5% polyester. The use of cotton in its construction provides an array of perks. For starters, cotton is breathable and it does not retain any odors, meaning that your mattress will remain in tip-top condition all the time. It’s also a tough fabric that can withstand numerous occasions of wear and tear. D&D futon mattress is in for the long haul so you won’t have to worry about buying another mattress for the next couple of years. Another benefit of the cotton construction is protection against heat and cold. Cotton has thermal insulation properties, so if it’s too hot or too cold, the mattress will help with insulation; hence, keep you comfortable. D&D futon mattress has passed all the flame retardant requirements, meaning that it is more resistant to fire than other mattresses. This futon mattress also offers versatility. If you’re not sleeping on it, you can fold it into a compact design then store it. Other than that, this mattress can be used for a ton of activities including camping, yoga exercises and massaging. It weighs just 26 pounds, meaning that you can move it about with ease. It’s also a great option in case you have kids sleeping over. This versatility makes this a strong contender in our guide to the best futon mattress. Futons began as simple mattresses, which could be folded and stored away. Even though the current futon mattresses look a bit different, they offer the same convenience of saving on space and providing comfortable sleeping surfaces. If your apartment is small or you just want an extra mattress, which kids can use when they come for sleepovers, a futon mattress is an excellent alternative. It’s affordable, comfortable and durable. For the best sleeping experience, consider the futon mattresses in our review. Our mattress buying guide (focused on memory foam mattresses). Our pillow shopping guide which is a simple decision tree with images and links. Also, I personally own a Zinus Green Tea and I’ve analyzed the pros/cons vs. competitors in this Zinus Green Tea guide.